The best rated computer laptops are compared by price, size, and capabilities. The best rated laptops extend across several brands and types. Keep in mind that everyone's laptop needs are different, and you should choose the one that has the capabilities that match your lifestyle. This laptop has a 15.6-inch display and a maximum resolution of 1366 x 768, Windows 7, 4GB RAM, and a 2.2GHz Intel Pentium Core processor. Dell Inspirion i1545 is one of Laptop Advisor's picks for the best laptops between $550 and $650 as of July 26, 2010. It's best for the average user who will be using the computer for a little bit of everything but doesn't need especially powerful graphics for gaming or fantastic speakers for the music lover. It's a basic machine that "doesn't do anything particularly poorly." Laptop Advisor calls it a solid meat-and-potatoes kind of machine. TopTenReviews.com gives the Dell Inspirion models 14 and 15 spots number one and four respectively on their list of the best rated computer laptops. This laptop has a 2.26GHz Intel Core i3-350M, Windows 7, 4GB RAM, 500GB/5, 400rpm hard drive size/speed, and a resolution of 1366x768. Colors are vibrant on the screen and audio is acceptable but not outstanding, according to the reviewer. Gateway ID49C07u gets 3.5 of 5.0 stars from Laptop Mag for its low price of $679 and its ability to perform like a laptop that costs much more. 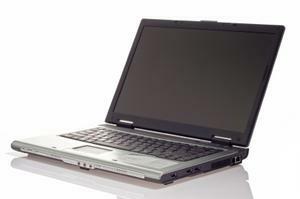 The computer has an Intel Core i5 15-520M, 2.4GHz, 4GB memory, 256GB SSD hard drive, Nvidia graphics, 1600x900 maximum resolution, fingerprint reader, 13-inch display, and DVD drive. It's lightweight and very portable, great for gamers. Reviewers say that despite the high price, there are enough features to make this laptop worth it. Sony Vaio Z Series VPC-Z116GX/S gets 4.0 of 5.0 stars from CNET.com editors and customers. This computer features an 11.6-inch display, 1.2 GHz Intel Core i5-430UM, Windows 7, 4GB RAM, 500GB/5,400 rpm hard drive size/speed, and a resolution of 1366x768. It's also easy to type on, with an almost-full-sized keyboard with everything in its proper place. The images were good, but sound left a little to be desired unless on a hard surface simply because the speakers are placed on the underside of the lip. Acer Aspire TimelineX 1830T is a winner according to Laptop Mag. It's $699, so it's one of the least expensive, but earns a whole 4.0 of 5.0 stars. The reviewer liked this model because it was sleek, textured, and one of the most powerful computers out there that costs less than $1000. This laptop has an Intel Core Processor i7, 2.66GHz, 500GB/5,400 rpm hard drive size/speed, Nvidia graphics, 4GB RAM, and 1440x900 max resolution. This is a top pick from CNET.com, earning 4.0 of 5.0 stars from editors and 3.5 of 5.0 stars from customers because it's such a "portable powerhouse." With this model, you get a 11.6-inch display, Intel Core i7 processor, Windows 7 OS, 4GB RAM, 500GB/7, 200 rpm hard drive size/speed, and Nvidia GeForce GT 335M. Alienware M11x (Optimus) gets 4.5 of 5.0 stars from Laptop Mag because of its superiority among gaming laptops. The reviewer enjoyed the backlit keys on the keyboard and that the controls were responsive. One complaint was how hot the machine got after playing a game for 30 minutes. This Toshiba has a 14-inch display, 2.5GHz Intel Core i5-450M, Windows 7, 4GB RAM, 500GB, 400rpm hard drive size/speed, and Nvidia graphics. One complaint is the short battery life. The keys are spaced nicely and the touchpad is easy to use. Toshiba Satellite M645 also gets 3.5 of 5.0 stars from Laptop Mag because of its relatively low cost of $1049, its lightweight design, appealing graphics and great sound.